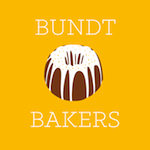 I’ve been in a bit of a funk so far this year, and I think the first BundtBakers of 2015 is just the thing to pull me out of it. 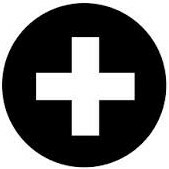 The theme this month, chosen by the amazing Terri of Love and Confections, is Coconut! What better inspiration to get me back into the swing of things than a delicious and versatile tropical fruit? Thank you Terri! I needed that!!! The first thing that I thought of when I saw this month’s theme was an idea I had last year for a cake that didn’t really pan out the first time around. The theme in June of last year was “tropical”, and at the time I was going through a bit of an Asian food phase. 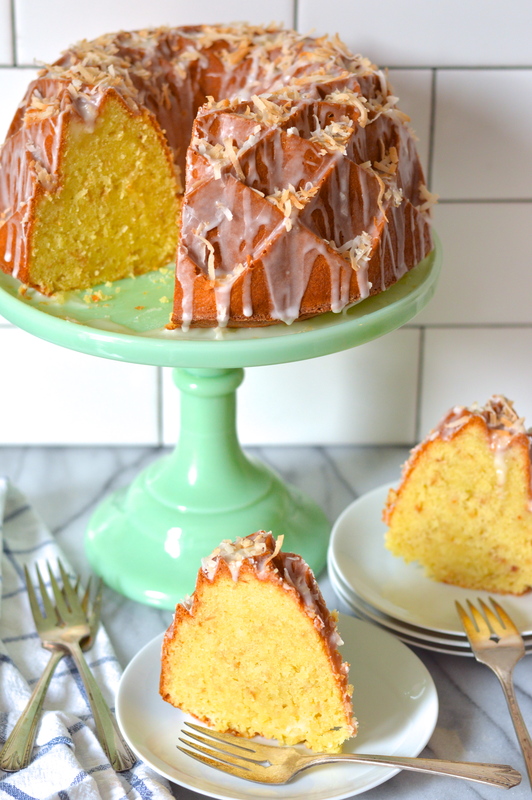 I thought it could be really fun and interesting to try to translate the savory flavors of tropical southeast asian Thai curry into a sweet bundt cake, so I went to work experimenting. 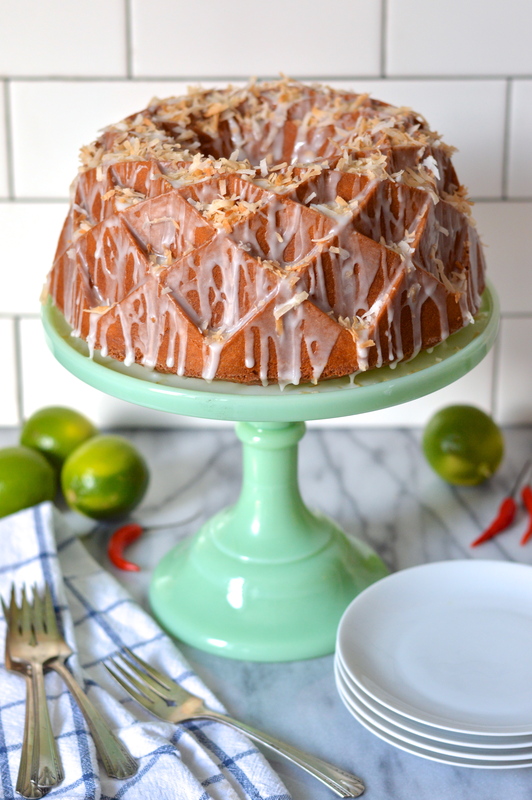 I love Thai coconut curries with lime and ginger, so I used that flavor profile as my inspiration for a bundt with coconut, lime, and ginger as the stars of the show. I also really wanted to see how far I could push the idea of Thai curry in dessert form, so I wanted to use some curry paste too. Thai curry paste usually consists of things like lemongrass, kaffir lime, galangal (a spicy Asian type of ginger), chilies, and spices. If I had an unlimited source of time and money I probably would have made my own paste using these classic Thai ingredients. Although these flavors might be sort of unusual and unexpected in a cake, I think it could have worked out really well. Without unlimited time and money though, I decided to grab a jar of store-bought Thai green curry paste which, unfortunately, also contains ingredients like shallots and garlic. Needless to say, shallots and garlic don’t really work well in desserts, even if you’re trying to be inventive and avant-garde. I knew the minute my experimental bundt came out of the oven that something wasn’t right. Despite having only used two teaspoons of curry paste, when I opened the oven door the first thing that hit my nose was garlic. The flavor of the cake wasn’t quite as off as the smell, but that hint of garlic and shallot was still lurking in the background of every bite. 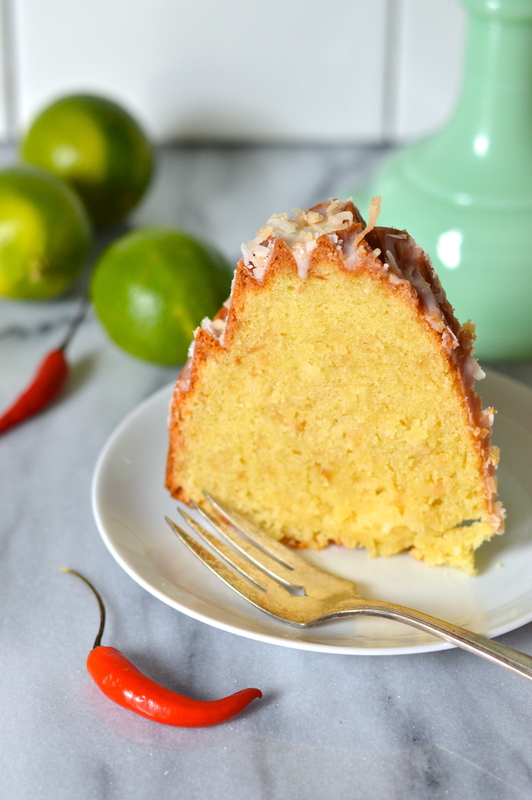 There were a few elements of the cake that worked really well, especially the flavor combination of coconut and lime, and the spicy Thai chili infused lime glaze that I used on top. In the end though, I decided to ditch the idea, and a few days later I came up with a hibiscus lime bundt that was met with rave reviews. 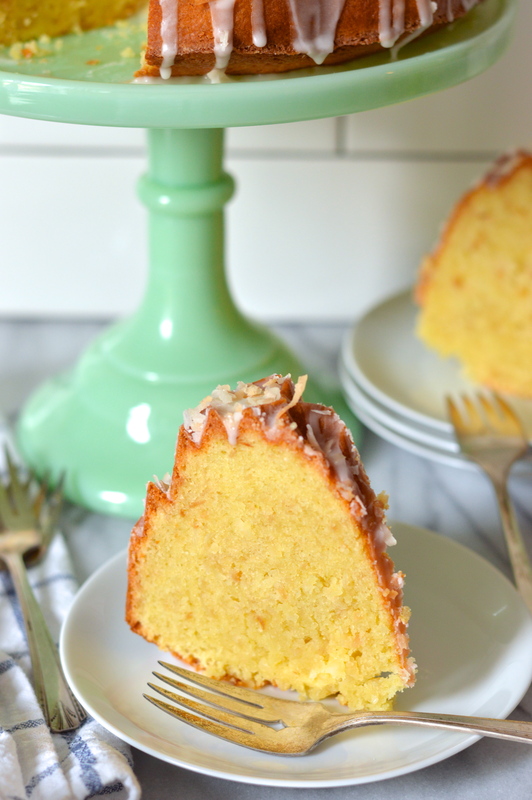 Fast forward to 2015, and I’ve finally found a good reason to revisit that ill-fated Thai curry cake. I decided to forego the curry paste altogether, and I actually skipped the ginger too. I knew that I loved the combination of lime and coconut, so this time I toasted the coconut and paired it with coconut milk and lime zest and juice. As a nod to the Thai cake, I decided to keep the chili infused lime glaze. Thai bird’s beak chilies are SUPER spicy, so a little goes a long way to add a nice heat to this sweet glaze. I sliced a few chilies in half and steeped them in a combination of lime juice and coconut milk, then I removed the chilies and mixed in some powdered sugar. The resulting glaze actually is quite spicy, but there’s so little glaze in each bite of cake that the heat is barely noticeable. I’m so glad that I decided to revisit this cake. I took some of it to work with me and let the compliments rain down upon me. I’m actually TERRIBLE at receiving compliments, unless they’re food related. “Moist!”, “Delicious!”, “Bursting with flavor!”. Keep ’em coming folks! 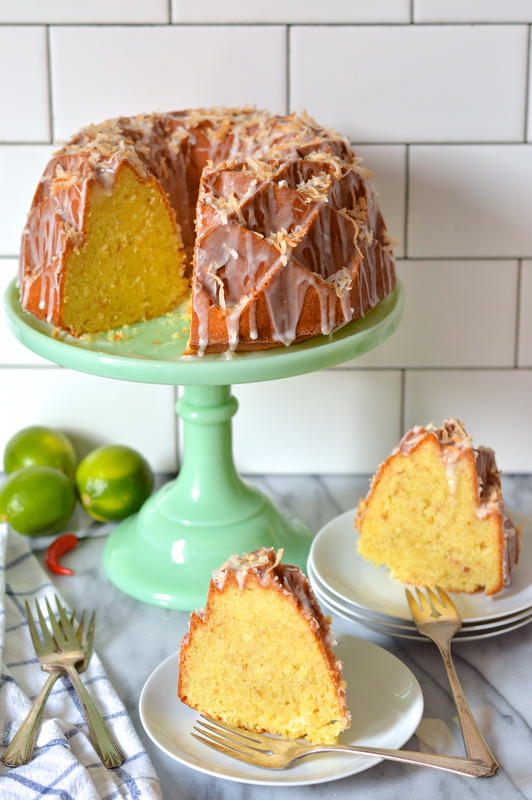 The toasted coconut and coconut milk take center stage in this moist, delicious, bursting-with-flavor cake; and the lime juice and zest help to brighten things up and emphasize the tropical feeling. The crumb is soft and tender, thanks to the addition of corn starch, with a pleasant density indicative of any good bundt cake. The glaze is fruity and tropical with a really interesting heat and flavor from the Thai bird’s beak chilies. If you aren’t feeling as frisky as I was, you can certainly leave the chilies out and this glaze recipe would still work really well. You could also swap them for a habanero if you want the heat but can’t find Thai chilies. 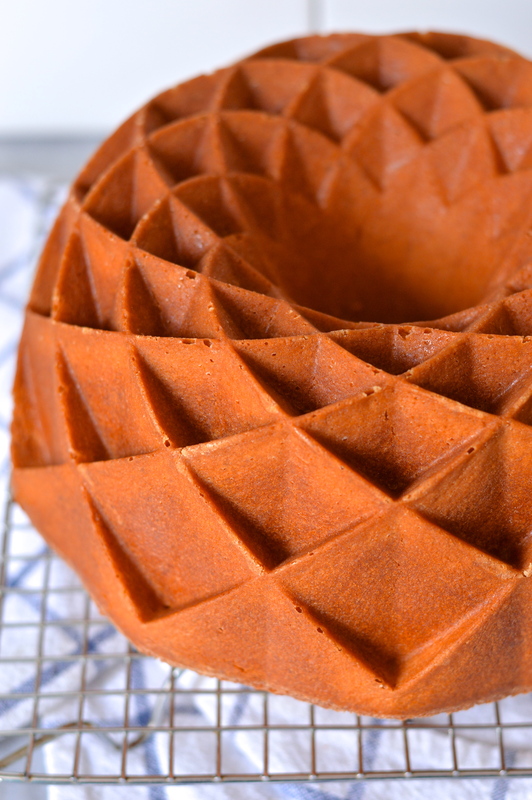 I also want to mention that the pan I used to make this cake is the Nordic Ware Jubilee pan. 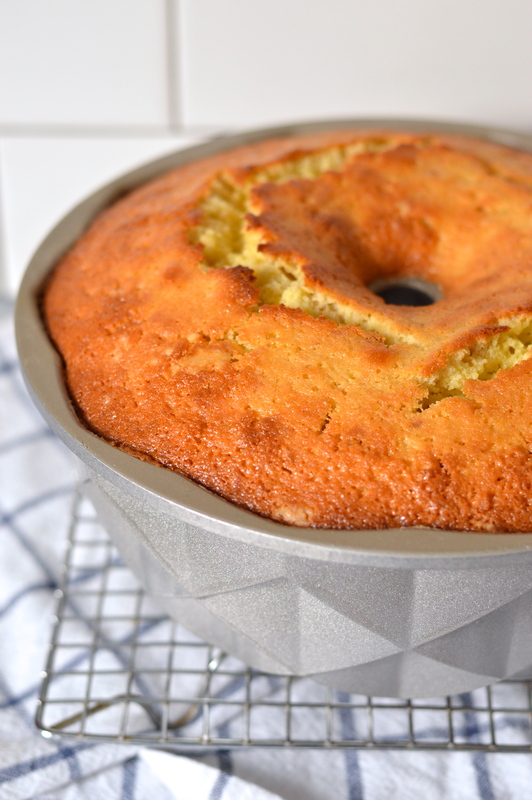 I love the elegant curves and modern lines of this pan and it’s quickly become one of my favorite bundt shapes. 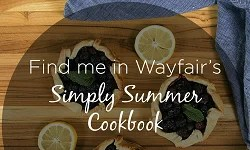 If you’d like to get your hands on a Jubilee pan, check out my latest giveaway for a chance to win one of your very own! Sorry folks, this giveaway is only open to people with a mailing address in the US (within the contiguous 48). Good luck! Make sure you keep scrolling down past the recipe to check out all the other amazing coconut creations everyone came up with this month. I’m drooling! Preheat oven to 350ºF. Grease and flour a 10 to 12 cup bundt pan. 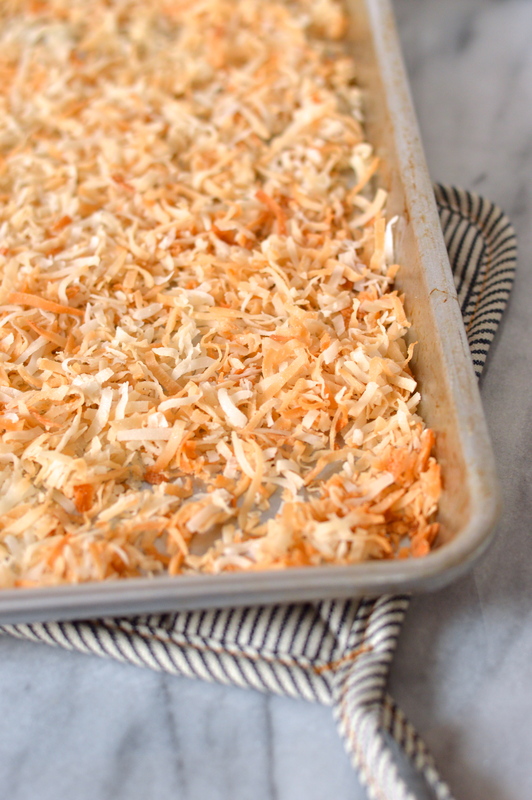 Spread shredded coconut in an even layer on a sheet pan and toast until golden and fragrant, about 15 minutes. Check every few minutes and stir around if necessary to promote even toasting and prevent burning. Zest and juice the limes. Reserve the juice and add the zest to the bowl of a stand mixer along with the softened butter and sugar. Cream on high speed until light and fluffy, about 3-5 minutes. With the mixer on low add the eggs, one at a time, along with the vanilla and coconut extract, scraping down the sides of the bowl after each addition. In a small bowl, measure out and mix together 1 1/2 cups coconut milk and 1/4 cup lime juice. Reserve the remaining coconut milk and lime juice for the glaze. With the mixer on low, alternate additions of flour and coconut milk, starting and ending with flour. Scrape the sides of the bowl and stir in 2 1/2 cups of the toasted coconut. Reserve remaining coconut for garnish. Pour the batter into the prepared bundt pan and level the batter with a spatula. Bake in the center of the oven for about 60 to 65 minutes or until a cake tester inserted in the middle comes out clean. Cool the cake for 30 minutes, then turn out onto a cooling rack and cool until room temperature. While the cake is baking, combine the remaining 1/4 cup lime juice and 1/4 cup coconut milk in a small saucepan. Remove the stems and slice the Thai chilies in half lengthwise. Add to the coconut lime liquid and place over a medium high flame just until the mixture comes to a low boil. Remove from heat and let steep while cake bakes and cools. Wash your hands well after handling the sliced chilies. To make the glaze, strain the coconut lime chili liquid through a fine mesh strainer into a small bowl. Whisk in powdered sugar until smooth and free of lumps. 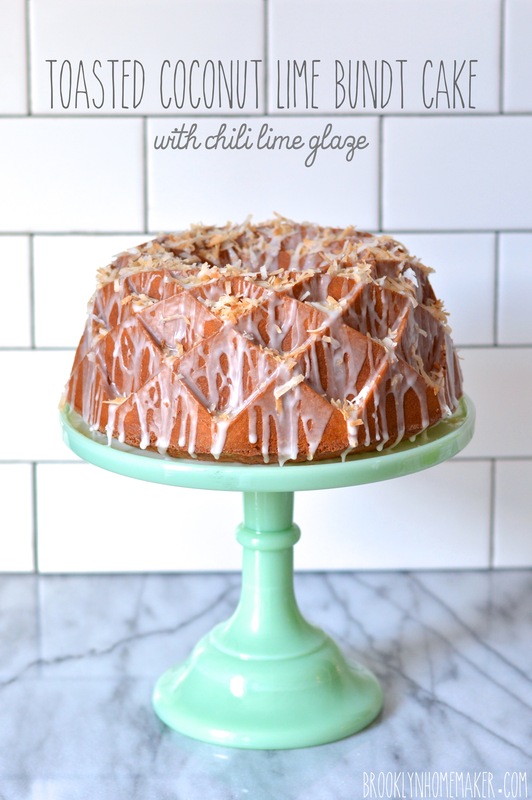 Drizzle the glaze over the cooled cake and immediately sprinkle with remaining 1/2 cup of toasted coconut. *cooks note: If you can’t find fresh Thai chilies, you may be able to find dried ones in the asian foods section. If that’s a no go, you can try using another type of very spicy chili, like a habanero, instead. I think 1 habanero chili would be enough. You could also skip them if you want. Be sure to wash your hands well immediately after handling these extremely spicy chilies. 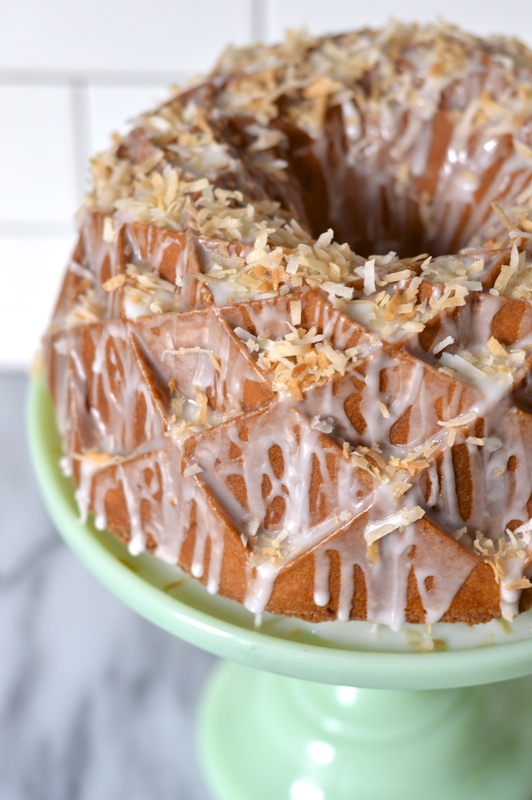 Can you believe all these mouthwatering coconut cakes? I wish I could taste each and every one!